We can now offer a range of simple and sturdy horizontal band-saws in a range of sizes and specifications. Cutting capacity of 700 mm. 800 mm. and 1100 mm diameters with a standard cutting length of 5.2 m for the TT 700 and an exceptional cutting length of 11m. for the TTM-800 and TTM-1100. 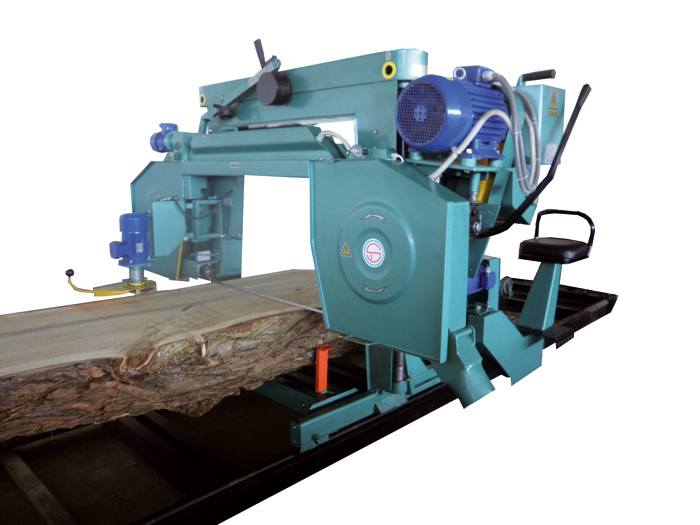 In addition to the band saws we can offer board edgers in either two or four board configuration, electronic set works, and feed rollers to suit. All saws need properly sharpened blades for optimal performance. PoleSaw manufacture a range of grinders to sharpen both their band and circular blades, these together with setting machines that your sawmill will never be in need of blades ready for work. Click on the tabs at the edge of this page for details of each type of machine.